So, three hundred kor appear... what does this mean for our heroes? The kor hookmaster has an eye missing and a notched sword drawn. As a whole, the group looks tired and beat up, with plenty covered in bandages and others requiring crutches to walk. Nissa wonders to herself how they all avoided the flood. She opens her hands palm up in the kor greeting, and asks for permission to speak. That permission may or may not be given because the kor tend to avoid speech. Sorin's a bit rude to them, but the conversation reveals the details that they come from out west, where they've found those "that have woken." Sorin yawns throughout this exchange, but when Nissa asks if that's why they're traveling, the hookmaster signals the others to keep moving, and Anowon explains. 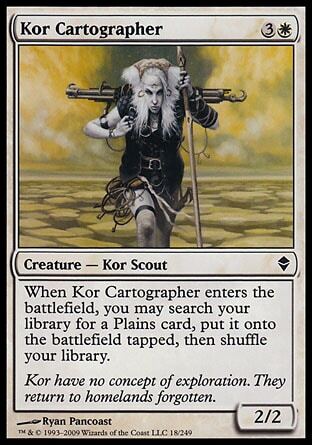 "The kor are the lost creatures of Zendikar," Anowon said, with a strange twist to his lips, as if his comment should remind her of other lost creatures. "They believe they are followed by the ghosts of their ancestors. Because of this they never stop moving. The mothers bear their young while suspended in a harness, and their fathers curse the ground nightly while imploring the sky. Both sexes use the bones of their ancestors in their daily rituals. Some go so far as to prop the dessicated corpses of their dead ancestors at the eating table. I like that last bit. A nice touch." "Why are you telling me this?" asked Nissa. "I am fascinated with the kor," Anowon hissed, moving closer. 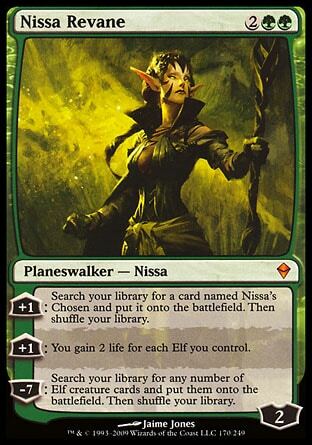 Nissa inched back. "I think you are fascinated with them, as well. Did you know they walk so much that the nursing mothers keep vessels of their milk on their hips, which are turns to cheese by week's end? Well... they didn't really learn much, but they've had a long day, and Nissa looks for a place to sleep. In the morning a thought occurs to her. She wonders what he's been feeding on. He replies that he eats when he is hungry, and Sorin adds that Anowon eats when he tells him to eat. With that out of the way, they move on. 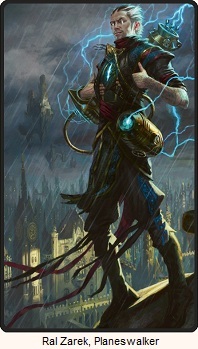 Later that day, they come across a clear pool that a thirsty Sorin bends down a take a drink from, but Nissa realizes there shouldn't be any clear pools like that so soon after a flash flood and warns him away. She tosses a stick at it to show him why. In a flash, a lip appeared from behind the boulder on the far side and snapped down over the entire pool with an audible snap that shook the ground slightly. Some black and green birds sitting in a nearby shrub took sudden flight. 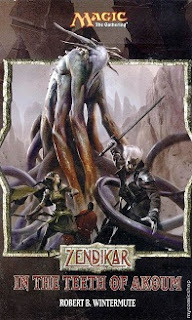 Sorin just chuckles at dangers of Zendikar and they move on. By midday they come across a fork in the road, with a massive statue of a tentacled creature carved into the wall of the canyon. They pull out a map to decide which route to take. Sorin wishes the energy of the plane wasn't so volatile, otherwise he's just "walk in the air" and be there in no time. Well... he can't. So they choose the left fork. They do some more walking until Anowon spots some carvings on the walls and stops them. The pictographs are old, and he tells them it's about the story of the Mortifier. 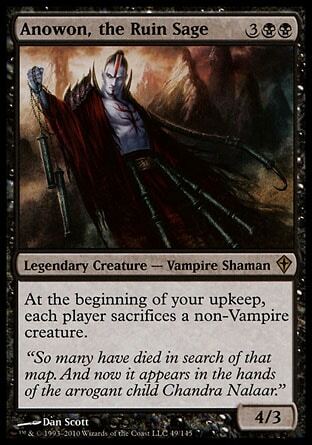 He says the figure with chains linking to vampire slaves is one of the Eldrazi, but Sorin tells him he's wrong. 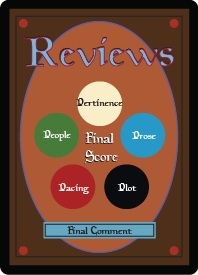 Nissa and Anowon continue to speculate but Sorin clearly thinks they don't know what they're talking about. When Nissa asks Anowon why he doesn't try to get more information from Sorin about a topic that clearly fascinates him, he remains silent on the subject. When it gets dark, they make camp by a half-buried stone grate, that's lying on its side, and Sorin insists on having a fire. During her watch, Nissa hears some voices approach and wakes the others. From their hiding spots they spot a disheveled kor followed by a bunch of goblins. Most telling was that the creature wore no ropes or hooks, unlike all other kor. In fact, the only attribute that gave away her race was her long, thin skull and the pale skin stretched taught over it. Well... Sorin and Anowon want to kill one of the goblins then enslave the rest. Nissa is a bit weirded out with their desire to enslave the goblins, but she holds them back and says they should try to get some useful information from them first. She reveals herself from behind the boulder and the goblins are startled and are prepared to fight, but she disarms them by casting a spell that grows roots from the wooden handles of the their swords that dig deep into the ground. The kor has a strange crystal in her hands and the vampires pay closer attention to her chanting once they really hear what she's saying. Sorin recognizes it to be ancient Eldrazi. He decides that she needs to come with them. 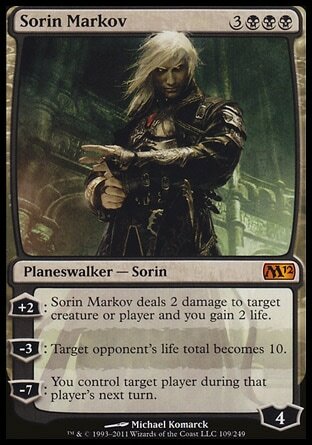 Sorin leaned forward for a closer look. "She will be able to help us. Yes." "Who is this kor?" Nissa asked. The kor stopped chanting suddenly, as if she had heard. She slowly turned. Her corneas were red. Nissa coudln't be sure if it was the fire's reflection. The kor began chanting again. "Take the goblins," Anowon said. "Why do you want the goblins so very much?" Nissa said. He says they should leave the kor, but he still wants to take the goblins with them. 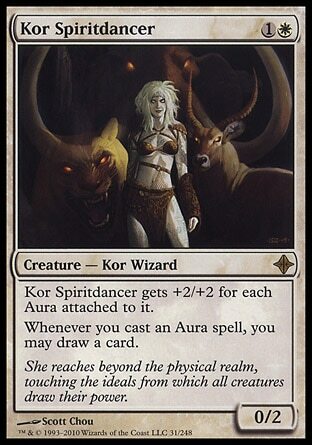 Then the kor is hit by a fit of seizures. The goblins rush towards her and try to comfort her. She then speaks in a new voice and says she's an Eldrazi. She says that the "key is requested" and that "freedom is nigh." When Sorin says the crystal looks familiar, one of the goblins finally speaks. It says that is the Crystal of the Ancients, and it is being kept by Smara, the Chosen of the Ancients. The goblin then makes some big deal about not speaking that the other goblins are in awe of. They follow after the kor and goblins when they resume their trek. That's when the attack begins. Immediately we begin the chapter with Nissa wondering the exact same thing I was wondering. How did three hundred people show up and not get swept away by the flash flood... and there is no reason whatsoever. Hanging a lantern on something to point out the ridiculous or to point out cliches can work to make something feel a natural part of the story, because the characters react the same way that the audience does. But pointing out the ridiculous is not the same as pointing out the unbelievable. It seems like Wintermute knew that this chapter was going to end with the group running into quite an unusual kor, and he decided that he needed to show the audience what more typical kor looked like first, so he inserted kor where it was impossible for them to be rather than use internal dialogue or just simple exposition. It's like Wintermute thinks this is a TV show and internal dialogue doesn't exist, and just completely ignore that perfectly acceptable tool that novels can take advantage of. I hate it when a TV show or movie shows the audience that the coast is clear in a large open space, and then when the hero looks again, all of a sudden the villain appears absolutely out of nowhere. He just appeared from "off-screen." That's what happened here with the three hundred kor. This is a pretty poor characteristic as depicted. It seems like Wintermute was trying to build up some tension by making us wonder if the hookmaster was going to talk to Nissa or not. But of course he was. They magically appeared out of nowhere, there is going to be some reason for their inclusion. It was likely included to also show more contrast with the kor at the end, but again, that could have been much better handled with some internal dialogue or some standard exposition. The magical appearance of the three hundred kor was not needed. Here's a choice one sentence paragraph, inserted after Nissa tries to confront Anowon about what kind of hold Sorin has over him, and before he uses the event to change the subject. Somewhere down the canyon a boulder crashed into a rock. And I'll leave you with a choice exchange between Sorin and Anowon when as they're spying on that kor and her goblins, before they reveal themselves. "What is that kor babbling?" Sorin said. It is not kor," Anowon said. "But it is a language." "I can tell that. What language?